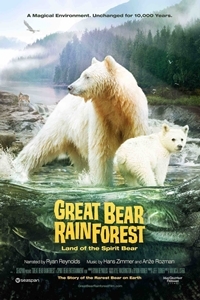 Journey to a land of grizzlies, coastal wolves, sea otters and the all-white spirit bear - the rarest bear on earth - in the film "Great Bear Rainforest". Hidden from the outside world, the Great Bear Rainforest is one of the wildest places left on earth. Found on Canada's remote Pacific coast, it is the last intact temperate rainforest in the world a place protected by the region's indigenous people for millennia. 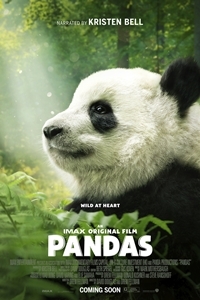 Now, for the first time ever, experience this magical world in IMAX and giant screen theatres, and discover the land of the spirit bear.